Saturday was a great day. We got to meet our youngest nephew who was born on Friday evening. When we met him, he wasn’t even 24 hours old. He’s so new. So soft. So tiny. So beautiful. And he smells so good. We’ve all been really excited about his arrival. And in preparation for our visit to the hospital to greet him, my two oldest children made him gifts. 1. Love her use of color and texture! 2. What an appropriate reference to scripture to honor a baby’s birth! 4. Such a thoughtful gesture from such a sweet child! Well stated. So true. So I let it be. The Tweet left me unsettled. Heartbroken. Discouraged. Disappointed. And angry. Not so much out of concern for my daughter’s feelings. She’ll never know about this Tweet (unless she starts reading this blog in a few years). But because it represents a larger problem that is so prevalent in our culture. Simply put. Some of us are characterized by having a critical spirit. And it’s not a secular problem. It’s alive and well in the church too. And instead of taking every opportunity we’re given to speak life into others, to affirm them, and to lift them up, we often criticize them. We often cut them down. We often highlight their negative qualities. We often point out the flaws in their work. We try to make them feel bad about themselves. And we often succeed. We do it to their faces. We do it behind their backs. It’s a huge problem for all of us. Not only because it’s demoralizing to put ourselves “out there” only to get beat up by naysayers and critics. But also because we’re setting a horrible example for our future. How are we supposed to teach our children to treat others with kindness and compassion when we’re so willing to treat each other with such utter disregard and complete and total lack of respect? How will our children ever learn to encourage and build each other up (1 Thessalonians 5:11, Romans 14:19) when we’re so inclined to see the worst in every situation and to be so critical of others? How might our children seek to become the light and love of Jesus Christ in the world when we struggle to show common courtesies to strangers? These are the questions that kept me up Saturday night. And these are the things I worry about when I see Tweets like the one attacking my nine year old. Did she make some spelling mistakes? Yes, she did. Eight to be exact. I’m not concerned about that, though, because I know how she’s doing in spelling at school. But if that’s what where we maintain our focus, don’t we miss the beauty of this expression of love from our child to her newborn cousin and his family? And don’t we miss the precious snapshot into the heart of a little girl that this expression of love affords us? Because what I see when I look at this painting is a powerful expression of God’s creativity communicated through the heart and hands of a child. I see a painting of a place I’d like to visit. Of a stream I’d like to sit by and the shade of a tree I’d like to enjoy. When I observe how the watercolors, crayons, art pencils, and paper towels she used work together to create different shades of colors and textures, I see the fruit born out of resourcefulness. And as I read the passage of misspelled scripture, I realize that this child didn’t copy this passage out of her Bible. If she had, she would have spelled everything correctly. Instead, I realize that she copied this passage from the depths of her heart. Where it resides. Where it’s living and breathing. Where it’s taking root and defining the person she’s going to become. And from where she will communicate God’s love to the world. THAT’S what I see. What do you see? I see a sweetheart full of God’s love. You should be proud of her. I don’t think there are many 9 year olds like her in this world! Yes it is:) God is good to us! Amen to all of that! I hope you are well. I have been thinking of you a lot lately. Message me and let me know what is going on with you and your family when you can. So sad for the person who only sees mistakes it may be a glimpse into an unhappy persons life. I love your daughter taking the time to show her love ! I think you are right on. And when I think of it from that perspective, it is easier for me to be compassionate instead of angry. Thank you for that reminder! I see a child who is bold in her faith and unabashed in her love for others! She is a small but powerful witness and I’m so glad my kids have her to look up to! And yes, I will be putting the painting in the nursery. In fact, it’s already there! I love you sis! Hope you are settling in at home. Give that sweet baby and your other precious kiddos a kiss for me. Thanks for loving my children as if they were your own. 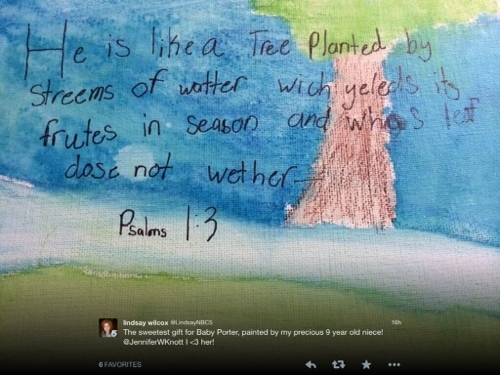 I noticed the spelling, but I also noticed the Bible verse, and the fact that she just wrote it on her painting. She may not have all the spelling down yet, but I know *I* wasn’t memorizing Bible verses at 9 years of age. Shoot, I have trouble at 44! 🙂 Beautiful job, and what a precious baby! Thanks Kristi for these sweet words! We are working on spelling diligently around here. She has improved tremendously since the beginning of the school year and takes this matter very seriously :-). One of the reasons she loves date night so much is because our cousin comes to babysit, and T says she always does better on her spelling test when cousin Katie drills her the night before! That is the sweetest thing I have ever seen and I am so glad Lindsay is putting it up in her nursery. That’s a memory that will last a lifetime for Taylor and her new cousin. I have many a note/letter to the tooth fairy, Santa etc. with misspelled words from when my girls were that age. In the excitement of the moment, for them, spelling doesn’t really matter….the feelings do. The fact that she knows scripture like that is amazing and that someone is so shallow that they have to pick apart her sweet little picture just floors me! You go Taylor Knott!!!! You raise a great point about the excitement of the moment! I hadn’t thought about it quite that way until now. But that is so true. She will be a proud big cousin to see her painting hanging in the nursery for sure! Jennifer, you have said everything beautifully. You are an inspiration to me as you so calmly refer to the accused. I would love to see society roll back a few years to a kinder and more gentle society, where we all cared more for our neighbor and friends. Your daughter did a beautiful job and although I saw the misspelling, I also was more impressed with the beauty of the picture and verse, that came from a loving and caring heart. Being a mom is a tough job, as we all want to protect our children. Margaret, thank you for your sweet words of affirmation and encouragement. I’m so glad you received the spirit of the post in the way that it was intended. You are so right… being a mom is hard work, and I know the toughest years are actually ahead of me. Blessings to you! I agree – the spelling mistakes are what make it adorable, and demonstrate that she was reciting from memory, even. 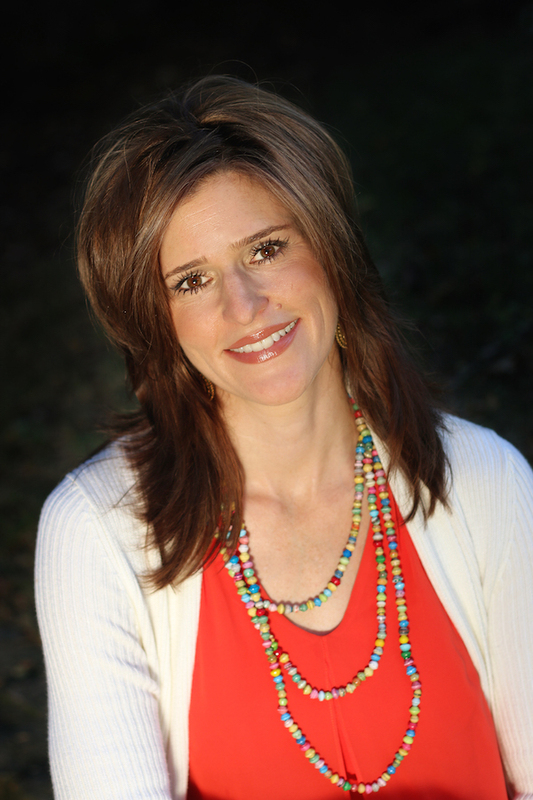 She has a wonderful heart and creative spirit, as do all your kids. Rob, I saw that typo early today and I laughed out loud! I agree with Kory… thank goodness perfection isn’t required! Praying for you and your family today. Looking forward to catching up with you very soon! Jennifer I love this. Your post is beautiful. I see God’s love beaming through her work. I see God’s immense pride is His child and the work He is doing in her and through her. Thanks, Kelly, for these words of encouragement and affirmation! So glad that we met! Smeo fo hte pleople I lvoe hte msto cat’n splel wrtho a dran! Ha! T would be all over that, and she would charge you for the license! I read the Bible verse several times before reading the entire post, trying to imagine what would cause someone to become a cyber bully. I noticed the spelling errors, but um it was written by a child. It wasn’t type written and spell checked. Auto correct wasn’t used. It was beautifully created as a gift. Quite honestly, I was impressed she thought to use this particular verse and recalled it from memory. I think this is cause to pray for the person who misses the beauty of the world and seeks to break others down. Life is too short for that! Amber, I agree with everything you’ve said and observed. It’s so much more fun to be encouraging! And you’re right. We should pray for all those people in the world who find it difficult. Praise that sweet girl. I wish people would see the beauty of kids handy work instead of seeing the mistakes of a child still learning. I believe if you shoot them down it will make them unwilling to try new things for fear of a negative reaction. Nicole, you make a great point. Similar to a lesson we learned in a parenting class years ago. 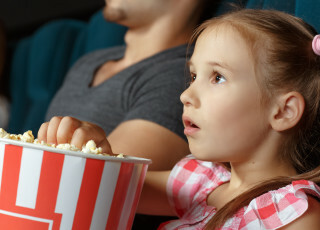 We should measure our response by the expression on our child’s face! I follow many piano teaching blogs and consult many teachers. I can’t tell you how many typos, and mistakes I see in their writings. I also know auto correct is to blame for a few, but the rest are human error. Do I disregard their wisdoms because of a spelling error? Does it make their know of how to teach piano students less valuable? NO is the correct answer! Spelling has never been a strength of mine, but something I work towards. I have a painting my daughter made for me that includes the serenity prayer. It has a couple of spelling errors, but I love her for her strengths and weaknesses! Want a wonderful learning experience for you, to prepare her for the people who are not always nice. I love that your senior band blanket had a typo! I sent out a birthday invitation for T’s 4th birthday with no date or time! Ha!